You may have been preparing to run a half marathon, teach a series of seminars, undergo medical treatment, lead a project team or whatever. 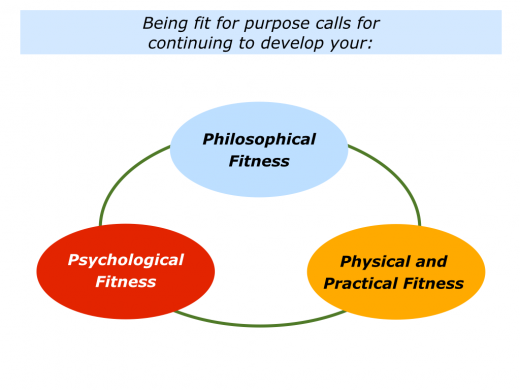 Being fit for purpose often involves focusing on certain themes. It calls for developing the philosophical, physical, practical and psychological fitness required to achieve success. Looking back on the challenge you tackled, you may have shown the following qualities. You may have demonstrated the philosophical approach required to achieve success. You may have demonstrated, if appropriate, the physical ability and practical approach required to achieve success. You may have demonstrated the psychological approach required to achieve success. 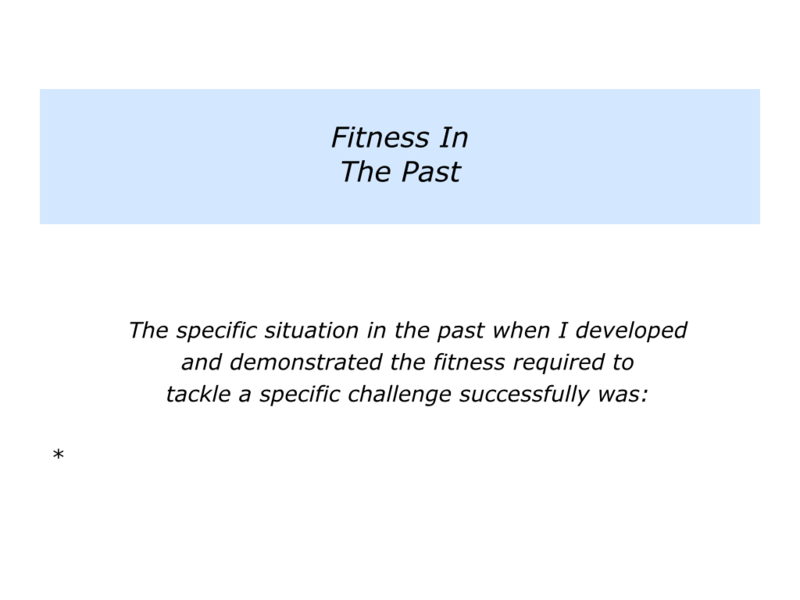 Describe a specific situation the past when you developed and demonstrated the fitness required to tackle a specific challenge successfully. 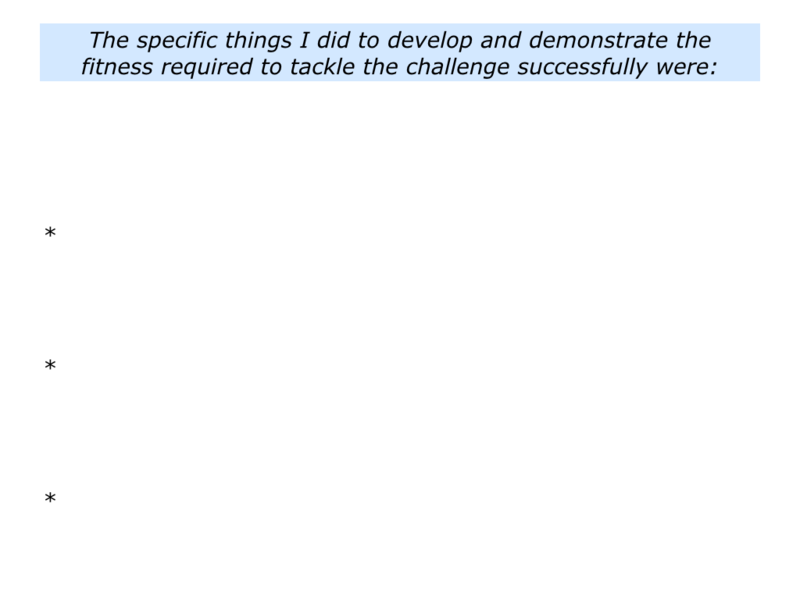 Describe the specific things you did to develop and demonstrate the fitness required to achieve success. When it is well equipped or well suited for its designated role or purpose. Today many people wonder if the lifestyles they pursue and the institutions around them are fit for purpose. Some choose to reassess their lives. They then develop sustainable lifestyles and systems that deliver ongoing success. Some of our social institutions are creaking, however, because they were built for a previous age. They may need to become fit for purpose in the modern age. Let’s explore how people, teams and organisations can demonstrate certain qualities on the route towards achieving success. People who tackle a specific challenge successfully often start by choosing to adopt a philosophy that will work. Some people may call this a model, framework or other term. 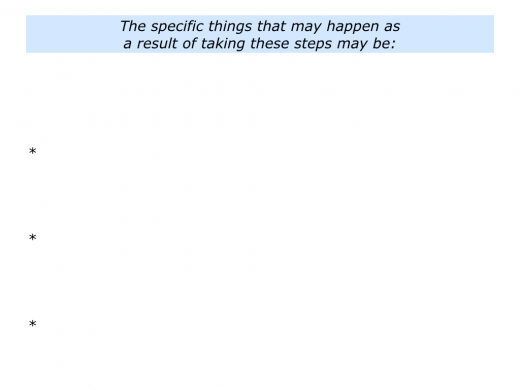 Starting by clarifying the goal, they explore many options. They use wilful intelligence and study what works, rather than lapse into wilful ignorance. People consider the choices, consequences and the potential creative solutions. Considering all the pluses and minuses involved, they then commit to their chosen route. Such people often take the following steps to develop their chosen philosophy for achieving success. 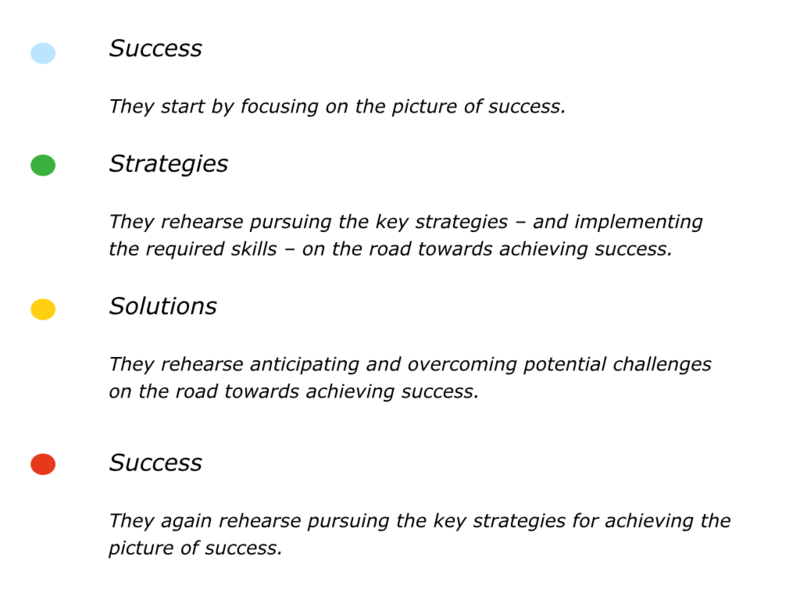 They clarify the strategies most likely to succeed by studying what works and what is most likely to work to achieve the picture of success. They clarify whether they have the motivation to pursue the required philosophical approach – bearing in mind all the pluses and minuses involved – and implement the strategies most likely to achieve success. They then, if they want to pursue the approach, clarify and commit to the action plan for achieving the picture of success. Let’s assume that a person, team, organisation or institution has committed to implementing a philosophy that is likely to deliver the goods. They can then move on to the next step. People who tackle a challenge successfully ensure they have the right resources, support and know how. Such people often take the following steps. They make sure they have the physical energy and resources required to achieve success. They make sure they have the practical knowledge, skills and tools required to achieve success. People obviously understand that athletes need to maintain their fitness. Over the past twenty years, however, many researchers have focused on the importance of all people maintaining their health. 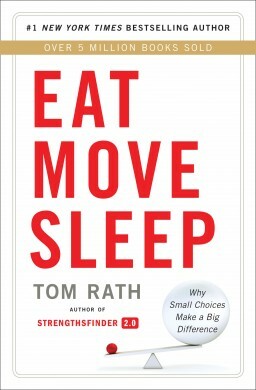 Tom Rath has spent much of his life helping people to maintain their wellbeing, rather than them feeling fatigued. The author of many respected business books, he then decided to change focus. Here is an excerpt from Tom’s website that gives more background to his decision. You can discover more via the following link. There is a much larger reason why I decided to focus all my time and energy on improving health, after writing business books for the last decade. I am tired of seeing people suffer unnecessarily and die early. That may sound dramatic, but it is the truth. We are literally killing ourselves, sapping our energy, and destroying our wellbeing as a result of lousy decisions we make about our health each day. So I am going to make health my business, and I encourage you to do the same. We owe it to our families, friends, and organizations. 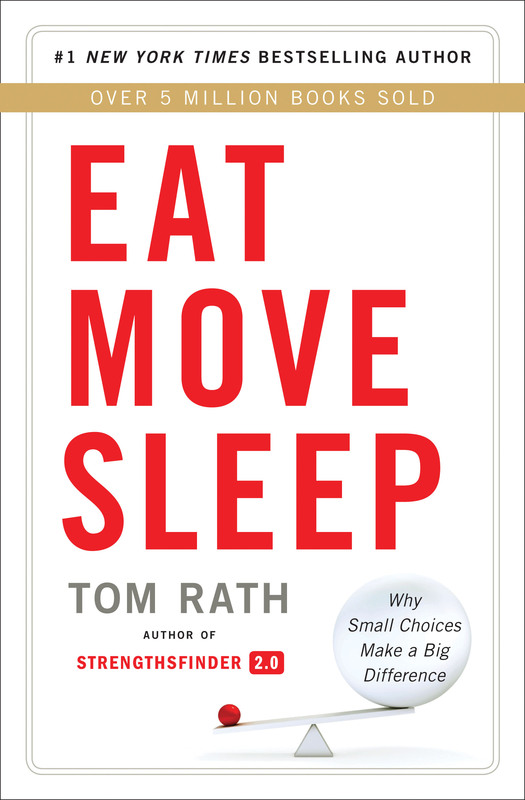 The new book, Eat Move Sleep: How Small Choices Lead to Big Changes, contains the most proven and practical ideas from all of this research. Tom went on to write the book Fully Charged. 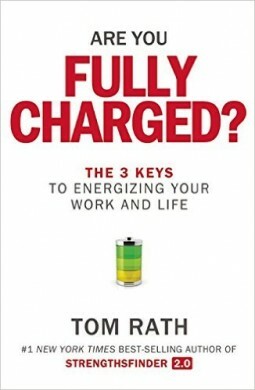 This explored how people could channel their energy to achieve their personal and professional goals. Here is an excerpt that describes the approach. When you are fully charged, you get more done. You have better interactions. Your mind is sharp, and your body is strong. On days when you are fully charged, you experience high levels of engagement and wellbeing. This charge carries forward, creating an upward cycle for those you care about. To discover what creates a full charge, my team and I reviewed countless articles and academic studies, and interviewed some of the world’s leading social scientists. Meaning: doing something that benefits another person. Interactions: creating far more positive than negative moments. Energy: making choices that improve your mental and physical health. People who do fine work make sure they have the physical resources required. They also make sure they have the necessary practical knowledge, skills and tools. Good workers study what works. They then use their talents to translate these principles into action and deliver success. They take these steps whether they are running a school, leading a pioneering team, tackling a pressing social problem or whatever. 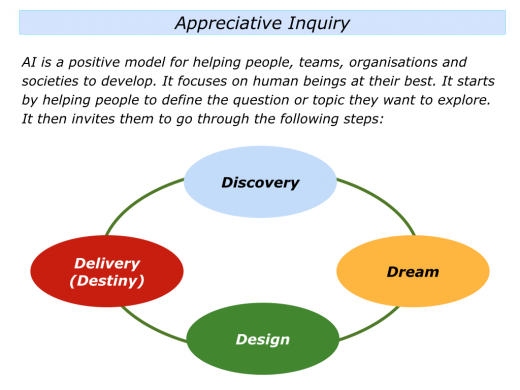 Such workers sometimes draw on the lessons that can be learned from using Appreciative Inquiry. This is a positive model for helping people, teams, organisations and societies to develop. How can we enable our people to flourish? People start by defining the topic they want to explore. They then follow the 4D cycle that goes through the stages of Discovery, Dream, Design and Delivery. In the original model the fourth stage was called Destiny. AI has been used by people from all walks of life to tackle challenges in their lives, work and communities. People like the approach. They build on when they have performed brilliantly and aim to keep developing. Here is a link to the Appreciative Inquiry Commons. This provides many tools that people can use to do practical work that delivers the goods. Good work often calls for developing the required philosophical, physical and practical fitness. 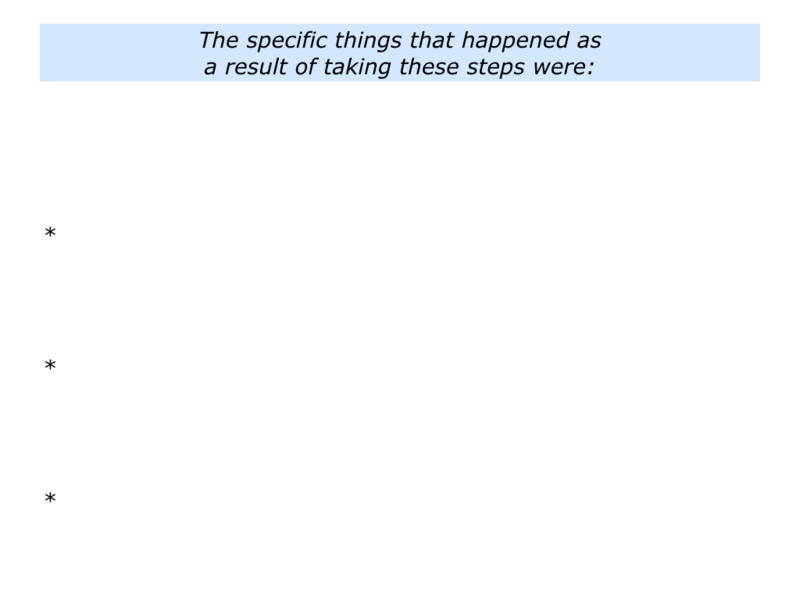 Sometimes it calls for taking the next step. People who tackle a challenge successfully often develop the required psychological fitness. Such people take the following steps. They make sure they have a positive attitude and the psychological approach that is required to achieve success. They make sure they work with positive people, encourage others and find solutions to challenges on the way towards achieving success. People who do fine work are often positive realists. They have a positive attitude, but are also good at reading reality. Seeing both the successful and unsuccessful patterns, they clarify the real results to achieve. Such a person then adopts a positive approach. 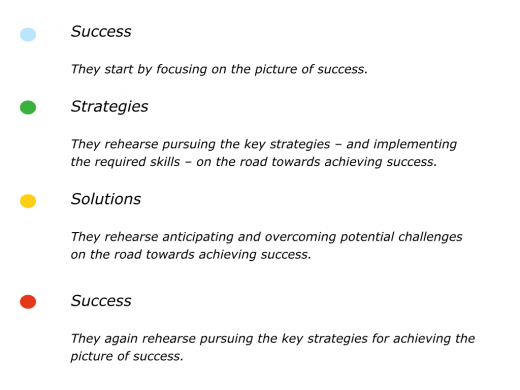 Building on what they can control, they ask: “What are the key strategies I can follow to give myself the greatest chance of success?” They then do their best to pursue these strategies and achieve the picture of success. 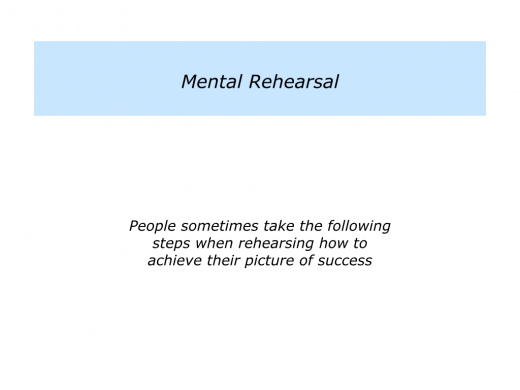 Great workers also often use mental rehearsal to prepare for tackling challenges. 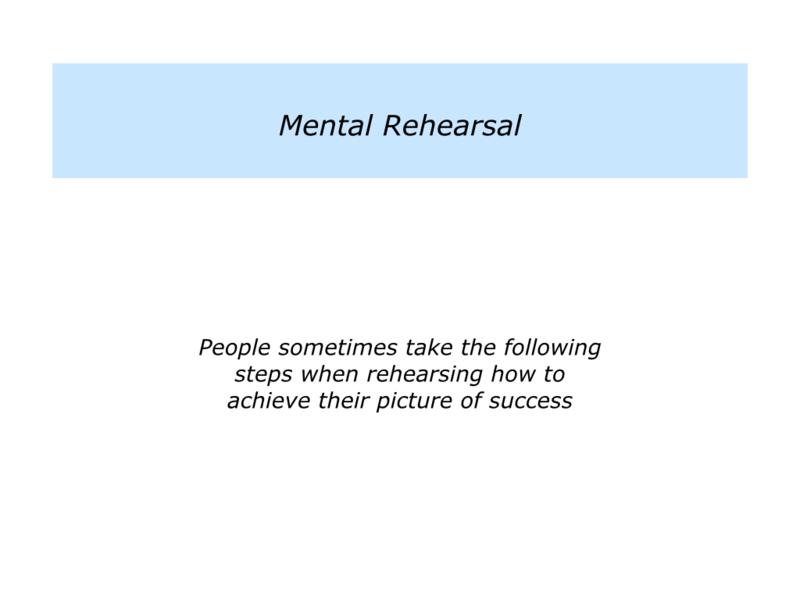 There are many approaches to mental rehearsal. Below is one framework. 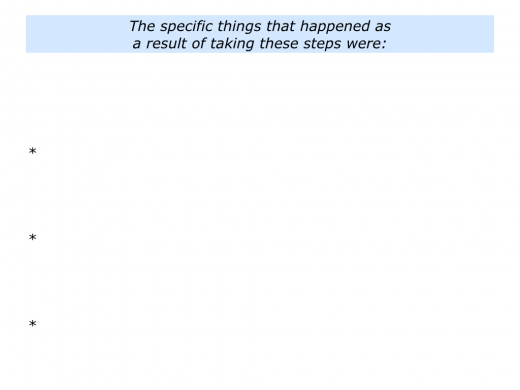 This involves people relaxing and working through the following steps. Great workers are resilient. They often have a history of being able to overcome setbacks. Carrying these lessons forward, they have the ability to stay calm under pressure and find solutions to challenges. Marjorie Clifton has written a fine article on this theme called Grace Under Pressure: Why difficult situations speak the most about you. She begins with the following statement. Marjorie goes on to share ideas about how people can respond when faced by a difficult scenario. Below are the headline themes. You can discover more via the following link to her article in the Huffington Post. Great workers often surround themselves with people who are encouraging and honest. When leading teams, for example, they recruit people who are positive, professional and want to be peak performers. They then implement the right strategy with the right people in the right way. This increases the likelihood of people delivering the right results. Let’s return to your own life and work. 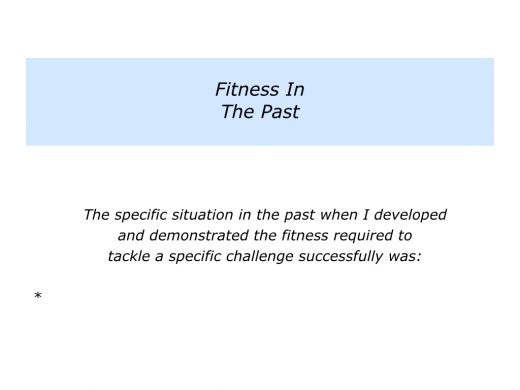 How can you continue to develop your fitness, rather than fall into fatigue? 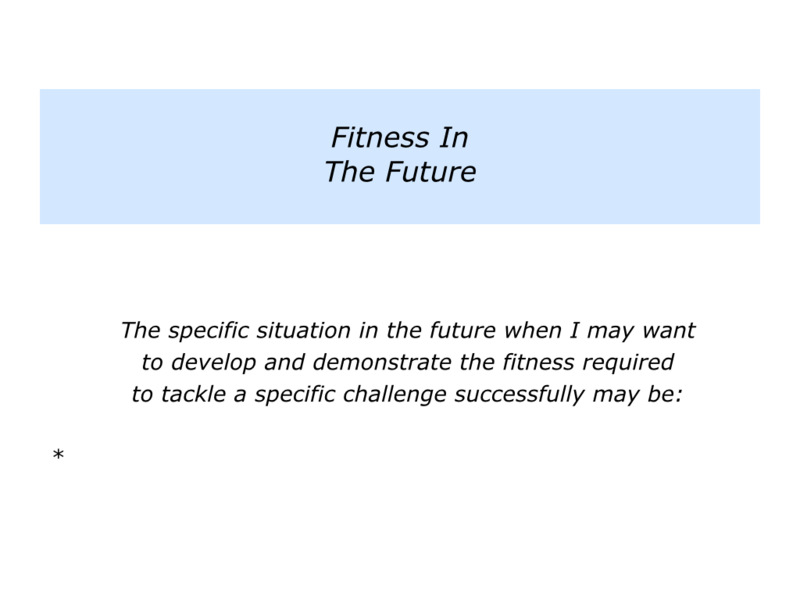 Looking to the future, can you think of a specific situation when you may want to demonstrate this fitness? This could be in your personal or professional life. You may aim to make a transition, manage a difficult issue or tackle some other challenge. 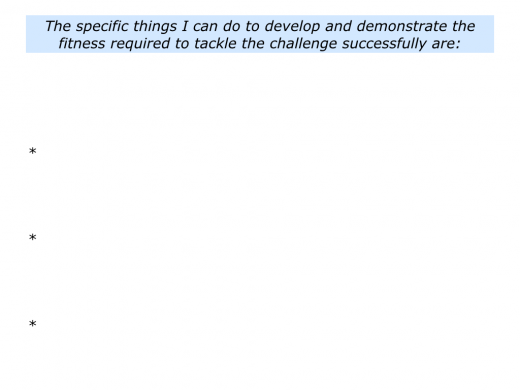 How can you prepare yourself properly and then manage the challenge successfully? Describe a specific situation in the future when you may want to develop and demonstrate the fitness required to tackle a challenge successfully. 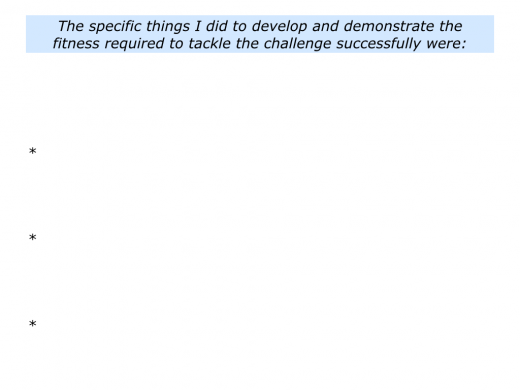 Describe the specific things you can do to develop and demonstrate the fitness required to achieve success.